Anne Marie Frizzle is the Founder-Well Life Journey Coaching Services. She is a Registered Nurse, a Dietary Coach and a Health and Wellness Coach . She holds an Advanced Certificate in Health and Wellness Coaching and a Diploma in Diet, Health and Wellness Coaching. She is a coach member of the International Coaching Federation (ICF) and in December 2015 she was shortlisted as a finalist in the International Coaching Federation Irish Chapter, Coach Awards for her work in the field of Health and Wellness Coaching. She is passionate about supporting others to build the foundation for wellness and healthy lifestyles and one of her life goals is to positively influence the wellness foundation of one million people worldwide. This includes the readers of HealthyNewAge Magazine. 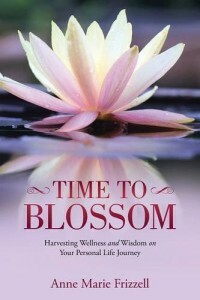 She recently self-published her first book with Balboa Press called, 'Time to Blossom-Harvesting Wellness and Wisdom on Your Personal Life Journey' She lives in County Sligo in the North West of Ireland along the Wild Atlantic Way, with her daughter Erica.